There is something about the word ‘work’ that makes a large part of workers cringe on the inside. We live in an inspiring age where we have a lot of choice and freedom, yet when it comes to work, many of us are prone to see it only as a burden. A place where you walk in and walk out, impatiently counting the hours in between. This leads to a shocking majority of employees feeling disengaged and unhappy at work, resulting in billions lost in human potential. These stats are bothering more and more employers and encouraging them to look for a change. So when you stop and rethink, work is where we spend the bigger part of our days. Why should we feel nervous and miserable doing that? 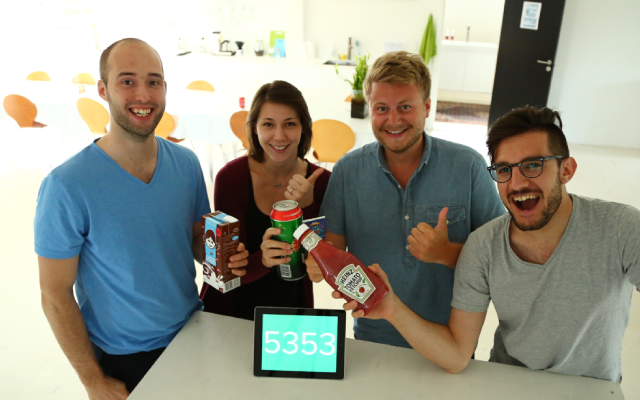 I’m leading the operations at Swipes, a Danish-Bulgarian startup. The bridge between these two very different cultures has given us a lot of food for thought when it comes to perceptions about work. We’ve found out that there’s one common thing in the way Bulgarians and Danes perceive work. They both have very particular ways of referring to it. Only the emotional charge is on the two opposite ends of the spectrum. Bulgarians wish each other ‘Easy work' (‘Лека работа!’). Work is something you have to go through, get it over with and is hopefully not too challenging. On the other end of the spectrum, Danes talk about ‘work joy’ (‘arbejdsglæde’). Besides being a barely pronounceable word for the rest of the human race, this term, which is also known as ‘ happiness at work,’ is a revolutionary concept that can change how people work together. It’s about taking pride and enjoyment in what you do (regardless of what it is), so you are giving your best - and get appreciation for that. I like the Danish concept better. But happiness at work is not about keeping a fake smile, holding hands and singing kumbaya, though. It is not about crazy perks or huge checks either. In reality, ‘work joy’ comes out of paying attention to each and every team member and creating for them the right environment to thrive in. That’s a powerful way to enable people to work better together, achieving more as a team and enjoying the process as individuals. Here at Swipes, we’ve experimented with many different ways to foster a happy company culture. We wanted to bring the Danish ‘arbejdsglaede’ to our team, regardless how many of us there are and where they are. People need to feel a sense of purpose in what they’re doing. People need to have connectivity between each other. There should be a constant flow of appreciation for personal and team achievements. Creating a sense of purpose is all about aligning people on the big vision of your company and how their specific jobs contribute to the grand goals. And there are many ways to communicate this purpose: meetings, memos, but at Swipes we chose to do company retreats. This summer, our CEO Kasper and myself, we got the crazy idea to pivot and start a brand new product. The new vision for the company was only in our heads, so we had to walk in the office and drop the bomb for the drastic change in direction to our teammates. Taking this bold and risky move got us to experience the dramatic impact of losing purpose in the team. Suddenly nobody knew what to do and why - the old product, the new one, and there were tons of questions unanswered.After beating our heads for a few weeks, with dropping team engagement due to a lack of purpose, we knew it was time for a Swipes company retreat. It was time to embark on a journey to find purpose and bring happiness back in the Swipes HQ. What is a retreat? It is a trip to align the team on the vision of the company, to create the plan of action together and to bring us all closer. Here is how the Swipes retreat went. A shared sense of purpose is something you walk towards together as a team. You don’t just plan it between four walls and send an email about it. When you hire the smartest people you can find, if you want to keep them engaged in the long run, they need to be a part of the big decisions , so they can continue with the company purpose in mind. Fostering connectivity in your team is about nurturing a culture of sharing. It’s about creating a sense of belonging and a deep wish to go through any type of weather, together. And here I’m not talking about this one-day team building event you did five months ago, or even about a one week of company retreat. I’m talking about the everyday task of taking hard talks, aligning expectations and being open to each other, despite the discomfort. Let me give you an example. 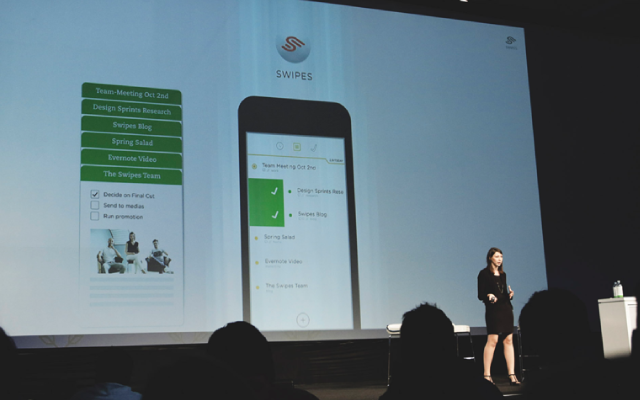 In the autumn of 2014, I was standing on a scene in San Francisco, presenting Swipes at the Evernote Conference. We were competing for $25,000, so, naturally, there was absolutely no pressure on me. Winning or losing doesn’t matter, right? Though this time it did matter. A week before that, we had to call our colleagues to tell them that we didn’t raise the investment we hoped for. They had to go on a vacation or find another job before we run out of money. Giving recognition to both individual and team achievements and shedding light on people’s work so others can see it is equally important to the first two building blocks of happiness at work. Appreciation is a key drive for each one of us because we all want to know and feel that our work is meaningful and that others notice this. In January 2014, things were very different for us at Swipes. It was only me, Stefan and Kasper in the company. And times were tough, we had gotten over 30 no’s on fundraising and we were on the verge of giving up. When the launch of our premium version turned out to be a complete failure, we turned against each other. We couldn’t take it anymore, and we started throwing mud and declaring whose fault it was. Each one of us believed that they had given their best, so it was somebody else’s fault. We felt unappreciated by the only people whose opinion we truly cared about. It was our advisor Lasse Chor who saved Swipes back then. And he did it through appreciation. He pushed the three of us into a six-hour conversation of acknowledging what each one has done great and how much it mattered to the rest. Through remembering to appreciate each other, we regained strength and got back into the game. The point here is that no purpose or connectivity can fulfil you and your teammates if you don’t stop for a moment and appreciate each other’s work. That’s something that we learnt the hard way , but it has stuck with us ever since. Today at Swipes we run celebrations over the small and big things. We celebrate having each other, and every Friday we do an appreciation meeting for all the achievements of the week. It’s within our power to create inspiring work environments and companies with great culture , in our own countries and all over the world. It just means taking boldly the first step. What’s your plan to foster a great company culture in your team? What are the challenges you aim to resolve to get the team aligned? I'd love to jump on a discussion with you and hear some of your learnings!